A mother has been accused of joining in on a Brooklyn schoolyard fight last month, while a father was caught on camera threatening to shoot students who “violate” his daughter after the brawl. 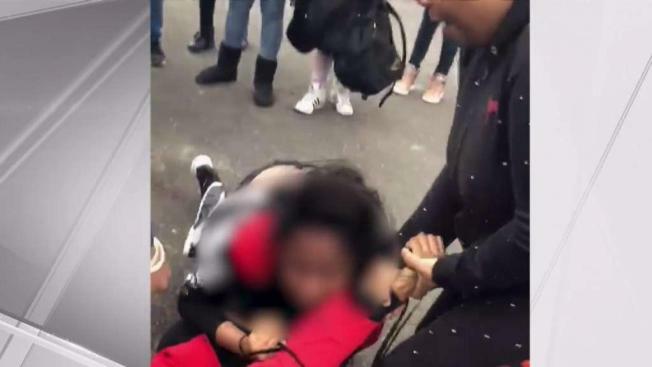 The mother, identified as Tameekah Douglas-Stanbury, was arrested on assault and battery charges after the melee outside Roy H. Mann Middle School in Mill Basin in February. Attorney information for the woman wasn’t immediately available. Video from the fight, which was posted on Snapchat, appears to show Douglas-Stanbury goading her daughter by saying “get her” repeatedly as the child fights another girl in a crowd of students. A scream can be heard in the video, and other students register complaints about the mother’s actions. “Yo, that’s cheating,” says one student. Then, after the fight, mother Renee Tenpow said one of the fathers involved sent her a Snapchat video threatening to shoot anyone who “violates” his daughter. 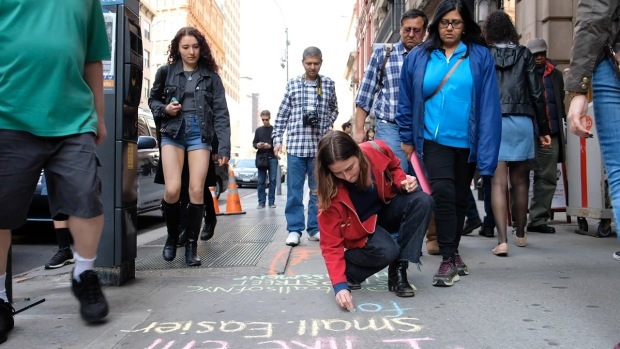 “To me it went beyond an angry parent and your daughter had a fight, because you included the words, I am going to come up to the effing school and kill these kids," she said. Tenpow added the students in the fight were suspended, and other parents were aware of the father’s Snapchat video. News 4 has reached out to the city Department of Education seeking comment.